In rare instances, DNA is known to have jumped from one species to another. If a parasite's DNA jumps to its host's genome, it could leave evidence of that parasitic interaction that could be found millions of years later—a DNA 'fossil' of sorts. 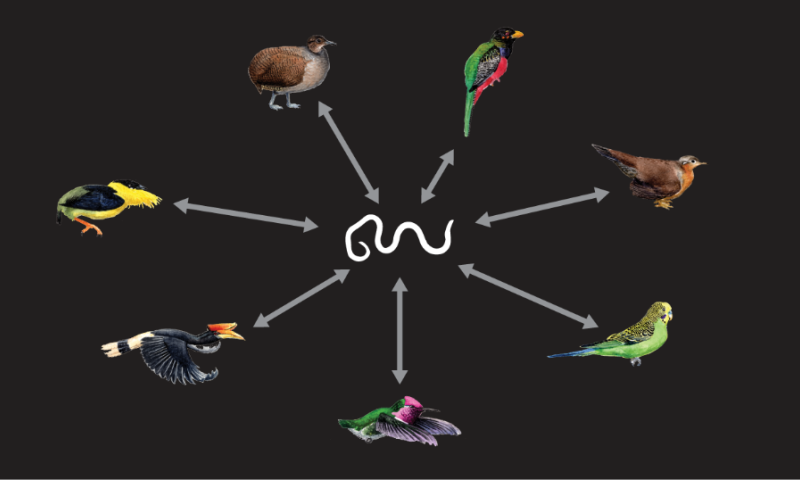 An international research team led from Uppsala University has discovered a new type of so-called transposable element that occurred in the genomes of certain birds and nematodes. Genome sequences continue to reveal evolutionary history in surprising ways. Not only can comparisons of genomes assess relatedness, but interactions between specific host and parasite species can also be permanently recorded in the genome via jumping of transposable element DNA from one to the other. In this first example of that phenomenon in birds and nematodes, we learned that a class of parasites that is a present-day scourge once switched hosts from birds to mammals—a process that is all too familiar to modern epidemiologists.